Towards Work is delivered throughout Nottingham, Nottinghamshire, Derby and Derbyshire by a partnership of local organisations who specialise in supporting people into work. We offer a personalised service and support individuals to overcome any barriers they may face, in their journey to move towards gaining employment. We welcome referrals to the programme and will ensure our team will evaluate each referred participants needs. Once employment or education is secured, our In-Work support continues for up to three months. 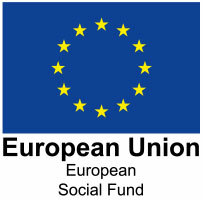 Supporting people to overcome personal barriers to employment and training, by providing an all-inclusive package of support to those most at risk of social exclusion. Providing an In-Work support service to ensure employment is sustained. Offering specialist support from our partnering BAME organisations, mental health and disability specialists for those in need of additional provisions.